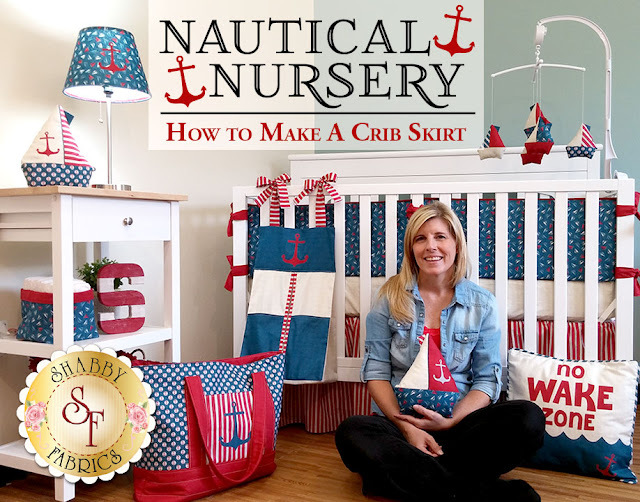 Here we are with the last project in our Nautical Nursery Series! 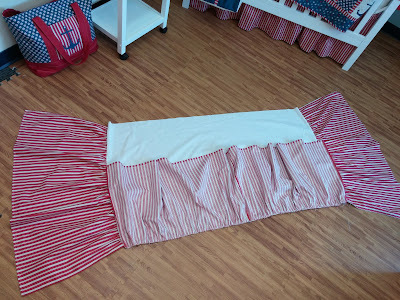 Up to this point we have shown you how to make some seriously sea-worthy decor for your little one's nursery and this crib skirt is the perfect final touch! Head over to our YouTube channel to see the full video tutorial series and don't forget to stop by Shabby Fabrics for all of the kits and patterns to make these nautical projects. 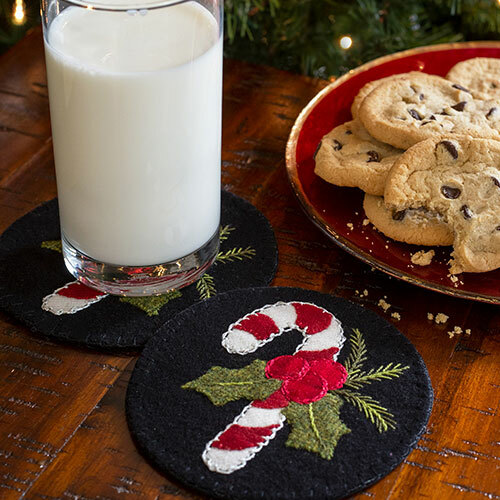 There is a full list at the bottom of this post for your convenience! Today's tutorial here on The Shabby is all about how to make a ruffled crib skirt. 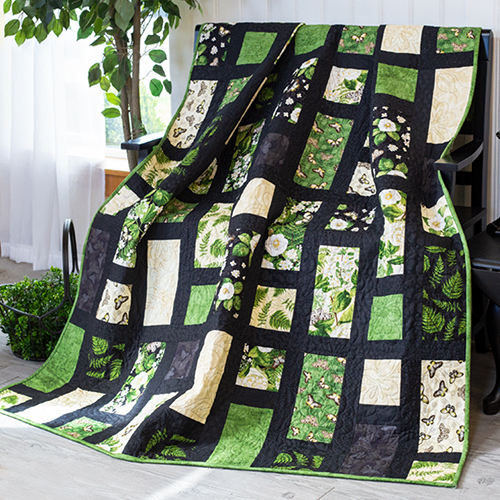 We have a full kit that you can purchase to make one that looks just like ours or you can use any fabric from your stash. Let's get started! 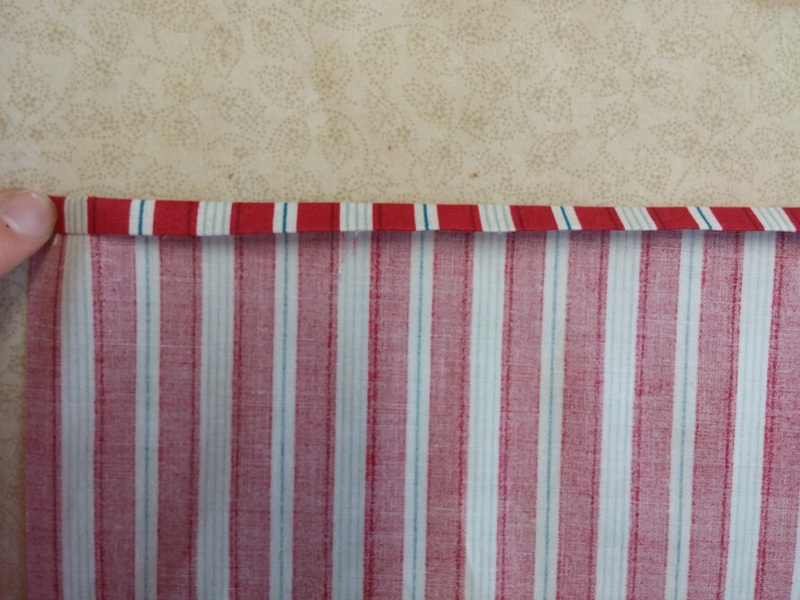 *If using a directional stripe or the red striped fabric from your Shabby Fabrics kit: To have a vertical stripe on your finished dust ruffle (as shown in the image), piece the front and back instead of using one continuous length of fabric. 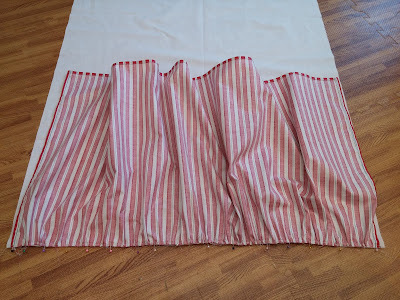 Cut two WOF pieces to 18” and sew the short ends together. 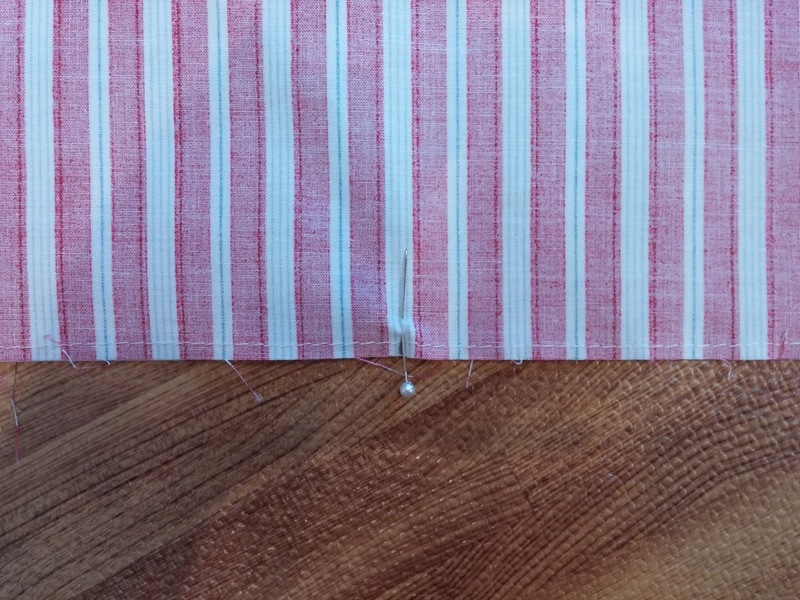 Be sure the print aligns at the seam if using this method. Use a zig-zag stitch to enclose the seam. 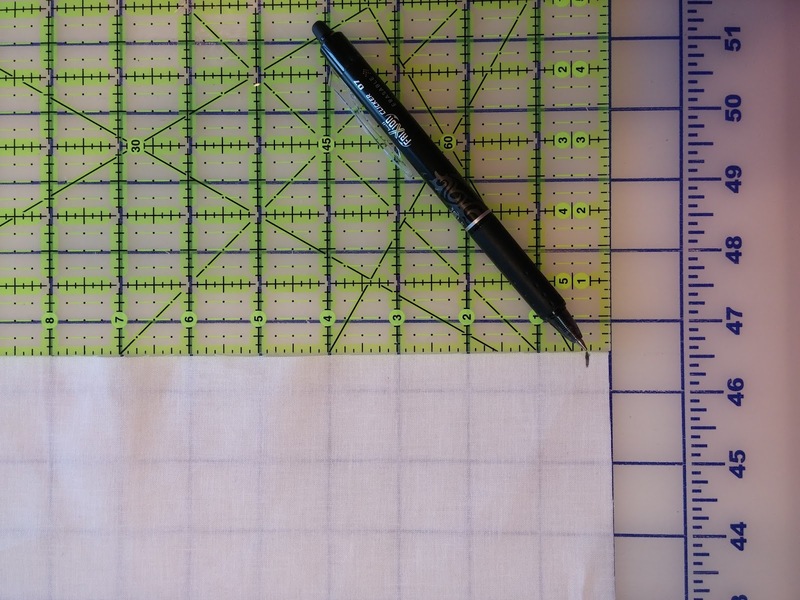 *If using a different, non-directional fabric; proceed to step 1. 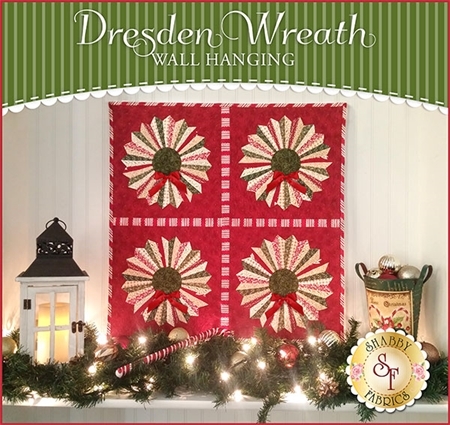 Fold both short ends under ¼” and press. 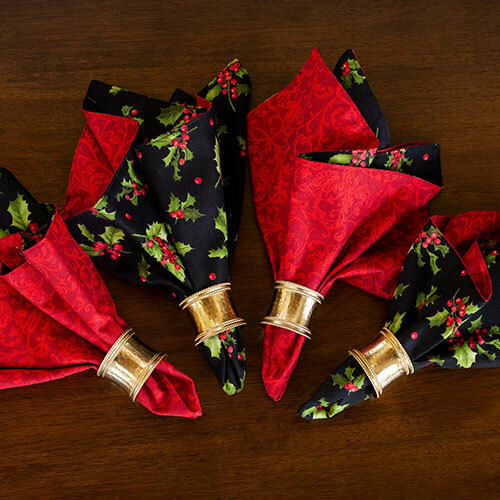 Fold over another ¼” and press. 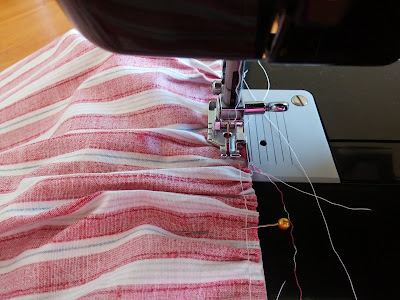 Top-stitch to secure. Repeat for the bottom. 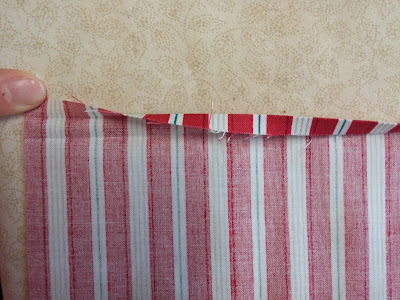 Leave the top edge raw and unfolded. Find the middle of your End piece by folding it in half. With a removable pen, mark this spot. Find and mark the middle of one of the short sides of the Base. 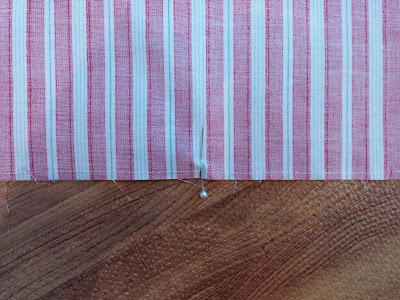 Add two more marks on the same edge, ¼” in from each corner. 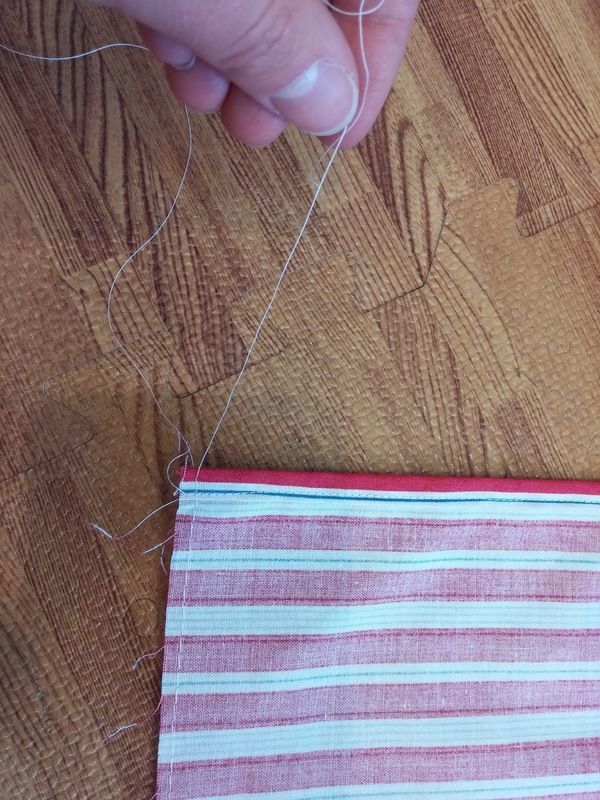 Sew a basting stitch (a very elongated stitch that has very little to no tension) approximately 1/8” from the top edge of an End piece. Place the End on top of the Base, RST, so the center points that you marked are aligned. Pin at the center point. On one end, separate and hold the top sewing thread in one hand. While holding this thread, bunch the fabric with your other hand. 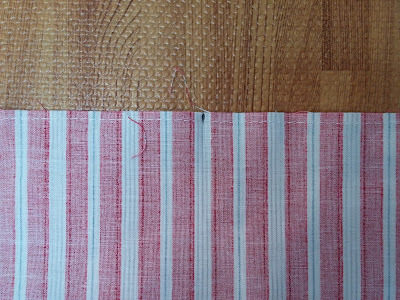 Pin the edge of the front to the base just slightly more than ¼” from the corner of the base (you marked this with a pen in Step 4). Spread the gathers evenly between the two pins. 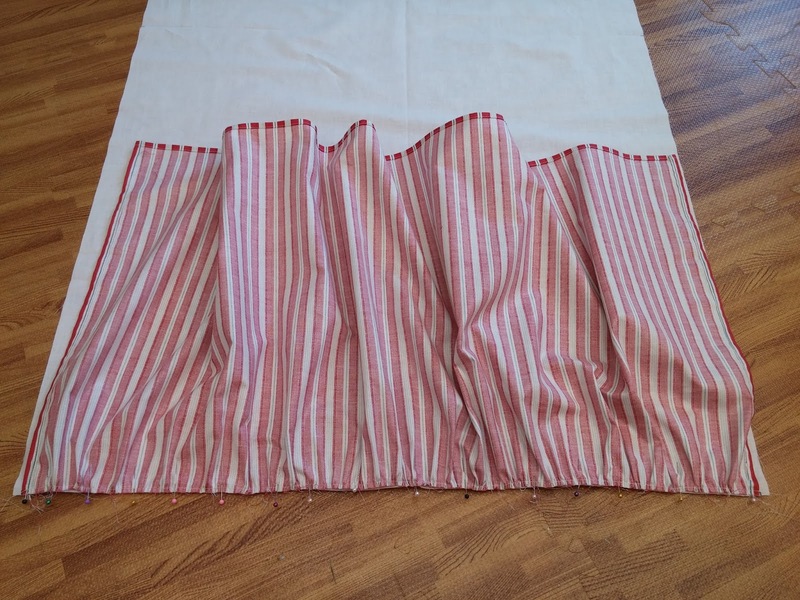 Add several more pins to secure the gathers, aligning edges along the way. Repeat for the other half. Sew with ¼” seam allowance. 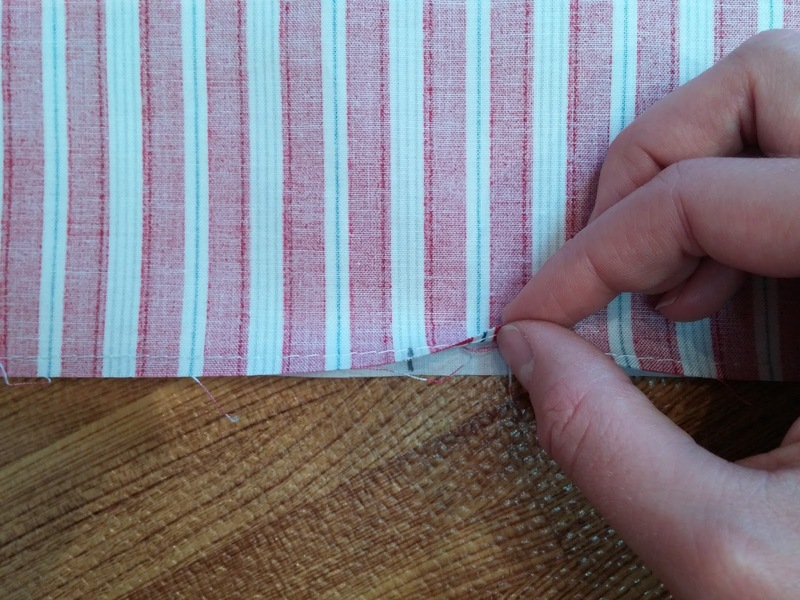 Use a zig-zag stitch to enclose the seam. Repeat all steps for the other End. 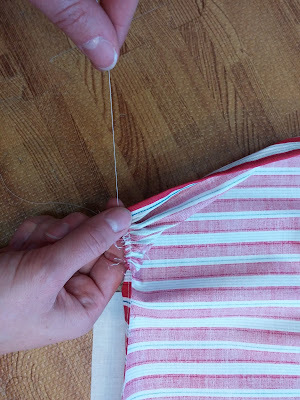 Fold both short ends under ¼” and press. 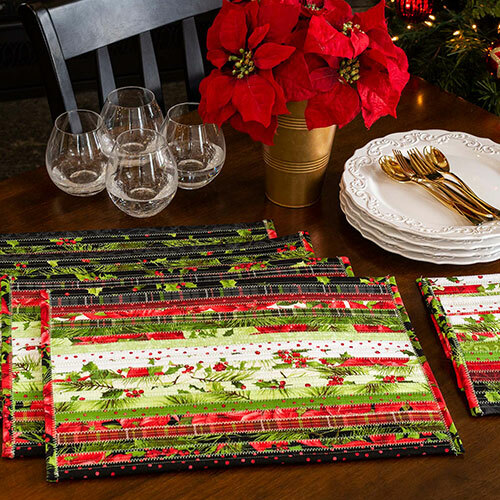 Fold over another ¼” and press. 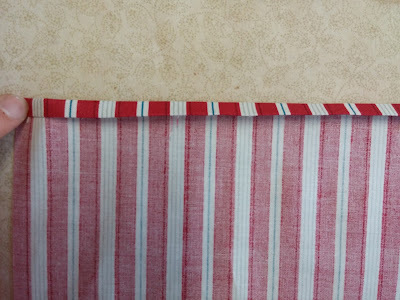 Topstitch to secure. Repeat for the bottom. 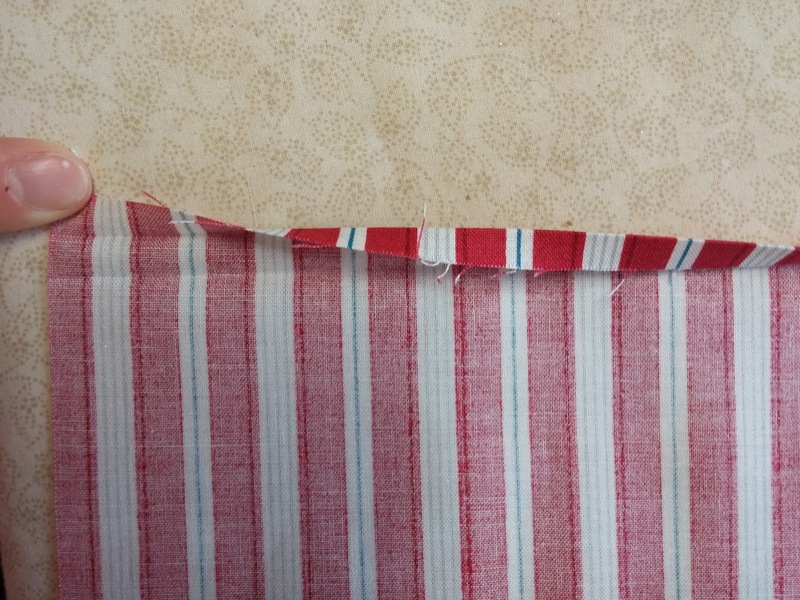 Leave the top edge raw and unfolded. 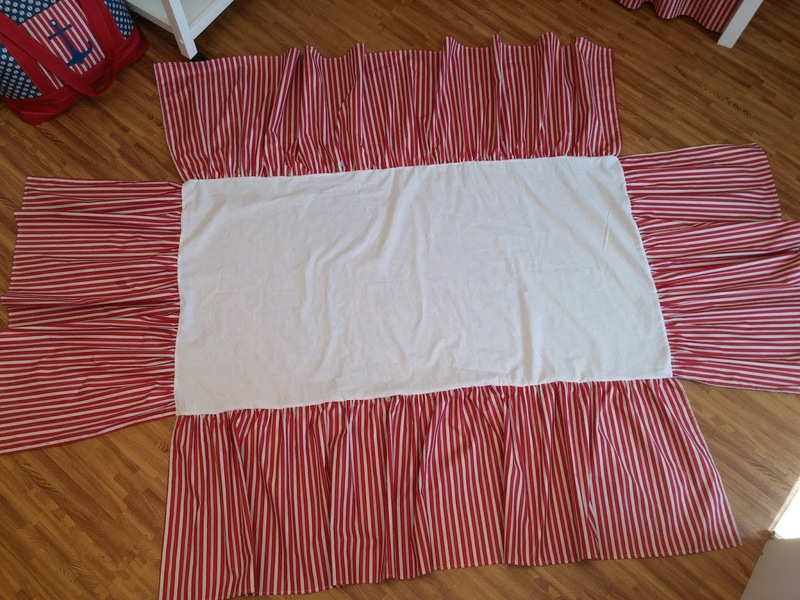 Find the middle of your Front piece by folding it in half. 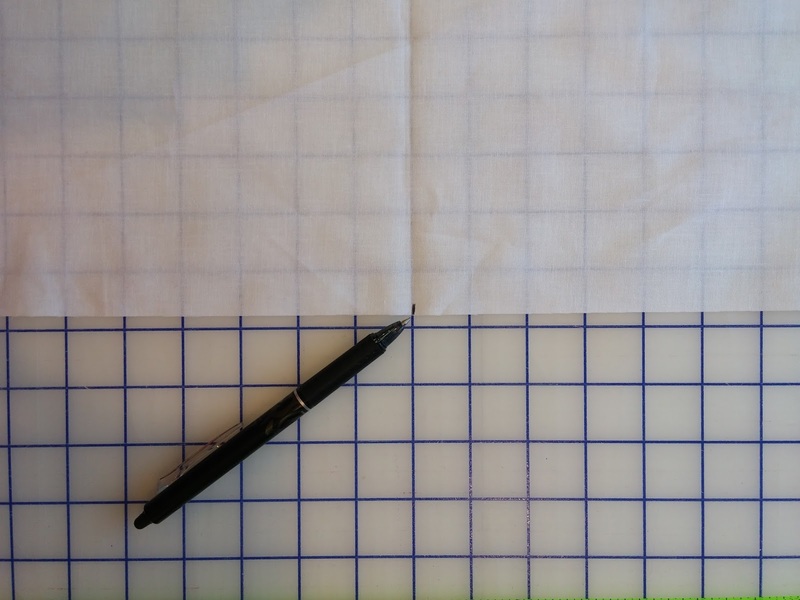 With a removable pen, mark this spot. Find and mark the middle of one of the long sides of the Base. 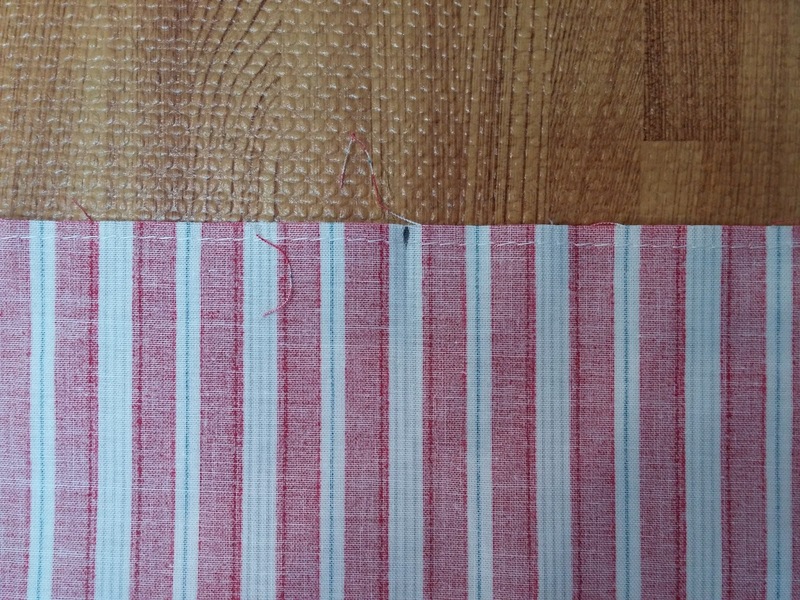 Sew a basting stitch (a very elongated stitch that has very little to no tension) approximately 1/8” from the top edge. 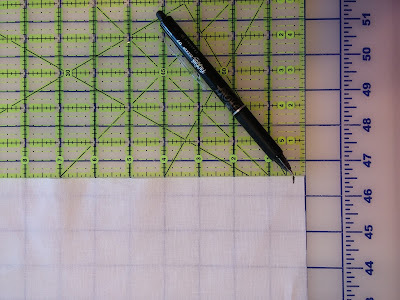 Place the Front on top of the Base, RST, so the center points that you marked are aligned. Pin at the center point. 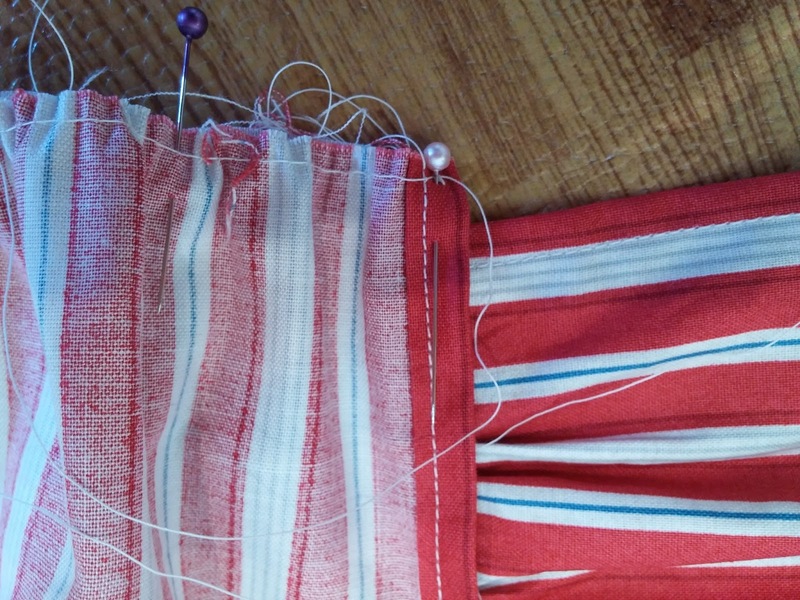 On one end, separate and hold the top sewing thread in one hand. 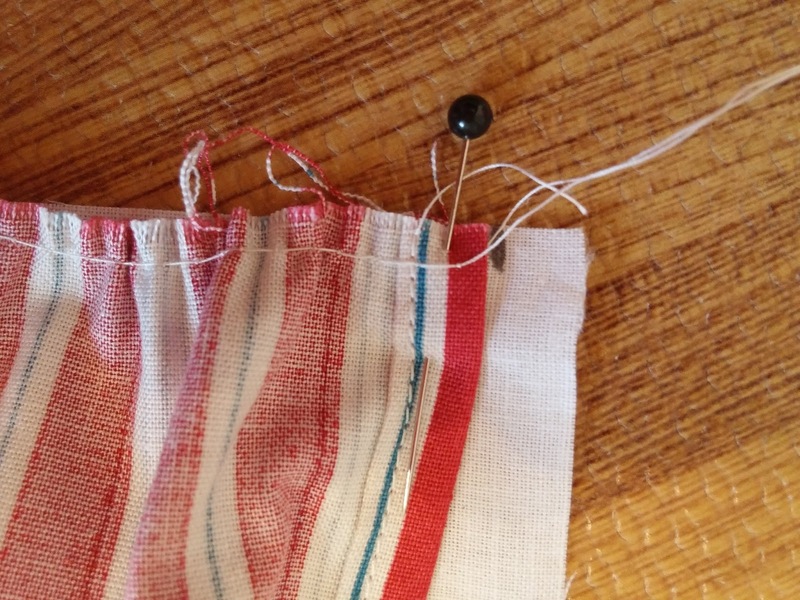 While holding this thread, carefully bunch the fabric with your other hand. Pin the edge of the front to the edge of the base. Spread the gathers evenly between the two pins. 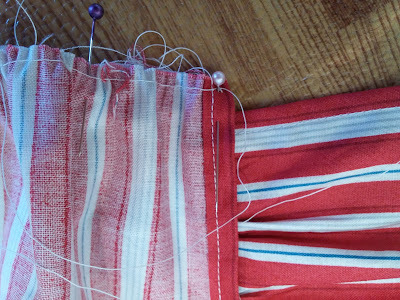 Add several more pins to secure the gathers, aligning edges along the way. Repeat for the other half. Repeat all steps for the Back.